Fond user of IFTTT? Happen to own an Amazon Echo? Well, you’re in luck. 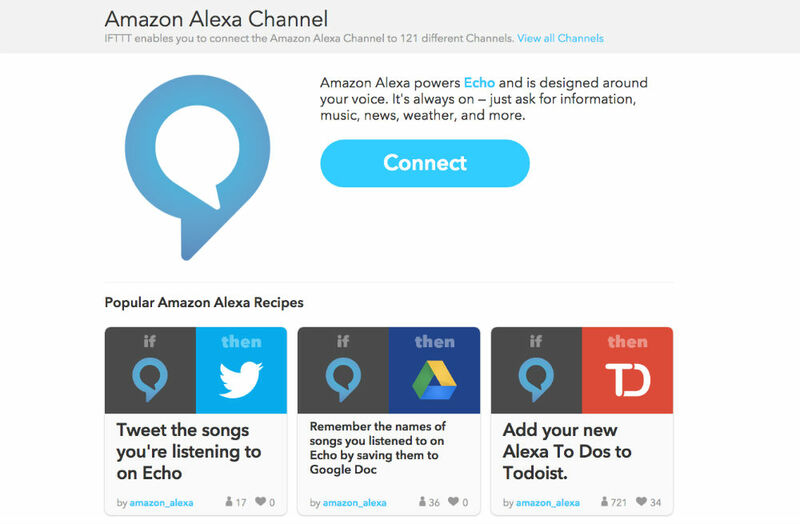 The Echo assistant from Amazon now supports IFTTT recipes, allowing for a multitude of things to be accomplished with just your voice. For example, if you need a physical copy of your grocery list, ask Alexa what’s on the list, and IFTTT can then automatically send it to your HP ePrint printer. Fancy, yeah? If you need some more ideas, how about adding all of your Alexa “to-do” lists to Evernote, or even saving all of those cool song names Alexa plays you to Google Drive? There are a ton of recipes to choose from, and if there is one you don’t see, you can create it yourself. Loving that Amazon Echo of yours?